Deliver sustainable natural premium animal nutrition to help feed the world. Respect is one of Ÿnsect’s core values: Safety in all its aspects is our number one priority, we take care of our insects, we take daily action to protect the environment and we are benevolent without deference. Everyone can (and has full legitimacy) bring good and valuable ideas to whatever topics whatever its age, competencies, expertise, field, etc. Creativity & competitiveness go hand in hand for Ÿnsect: our operational excellence brings the best solutions to our customers at all our industrial production sites. Thanks to our multidisciplinary R&D team, technical and scientific excellence is at the heart of our innovations. More generally, all Ÿnsecters combine their efforts to develop, finance, produce and promote new products from insects. We come from all walks of life and work as a team in a common goal that makes sense: providing solutions to the major food issues of our world. Are you hungry to transform the world and yourself? Join Ÿnsect’s team. Become an Ÿnsecter! Farming insects at large scale has never been done before. Our mission demands innovation and invention. 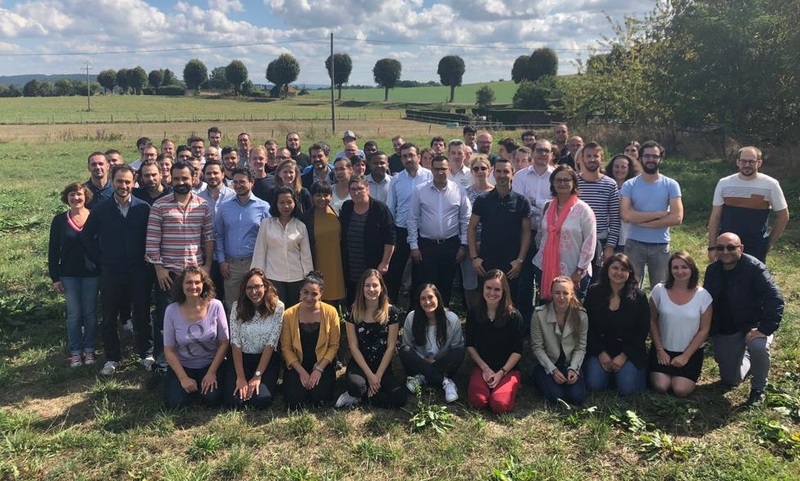 We offer exciting challenges, the chance to pioneer new products, applications and processes, and the opportunity to work with outstanding people who are at the leading edge of a revolutionary new field: insect farming at industrial global scale. If your goal is to learn and to contribute to a more food-secure world, help us disrupt the global food chain by placing insects at the heart of the agri-food system. As we reinvent the food chain, you can invent a career path that mashes up new sets of skills and experiences needed to tackle unchartered global feed and food challenges. At Ÿnsect, you’ll progress within a strong multicultural global context: our Ÿnsectors represent more than 10 different nationalities. We converse in both English and French in our daily work. We value individuals who embrace re-invention, learning, and possibility. Together we can launch and lead the fledgling insect farming industry in our quest for impact at global scale.